A subscription grants you free updates and support for a year. You may cancel at any time. Prices exclude VAT. Renewal is 50% off. 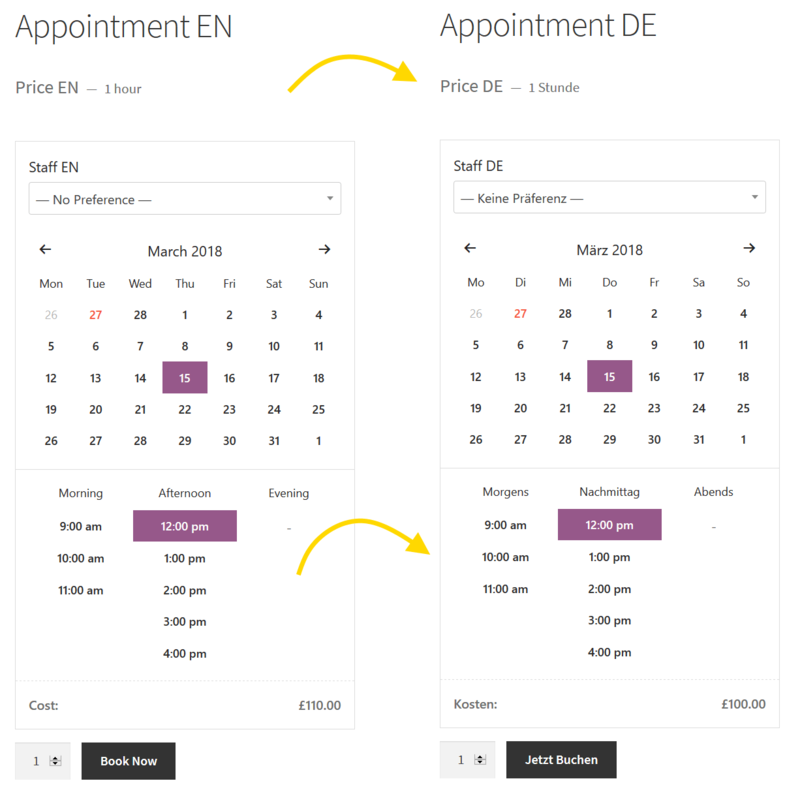 Want to manage appointments and bookings on your WordPress site? 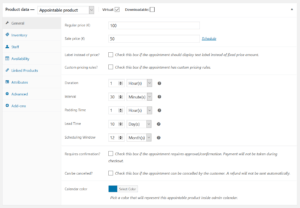 WooCommerce Appointments is the perfect plugin for handling appointments on your own website. 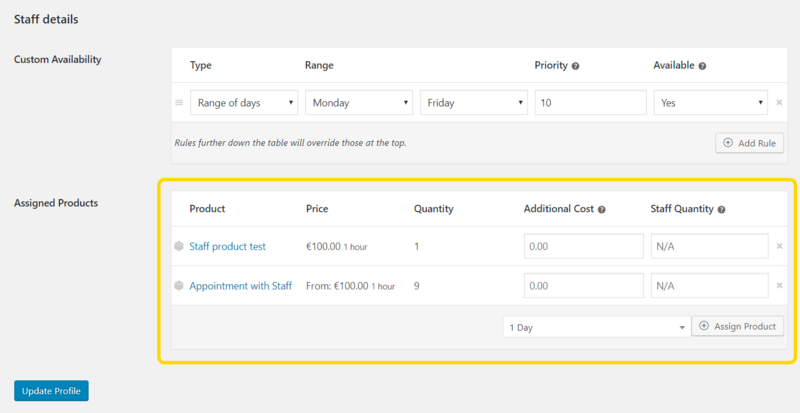 Fully integrated with WooCommerce, WordPress and Google Calendar. 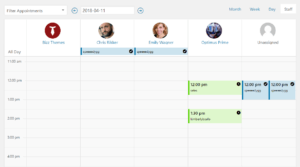 It is the best appointment scheduling software you can get right now. Request payments or accept appointments for free. 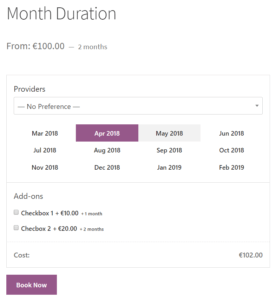 This WooCommerce extension allows you to receive payments for appointments with little to no effort. Built on top of WooCommerce, so you can use all WooCommerce features and extensions, without compromising your shop's integrity. You can accept all payment gateways WooCommerce supports. 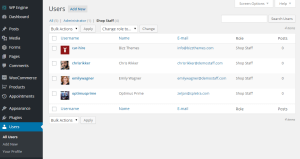 WooCommerce Appointments plugin is simple to use and install, fast and intuitive. No programming knowledge or training for staff is required. 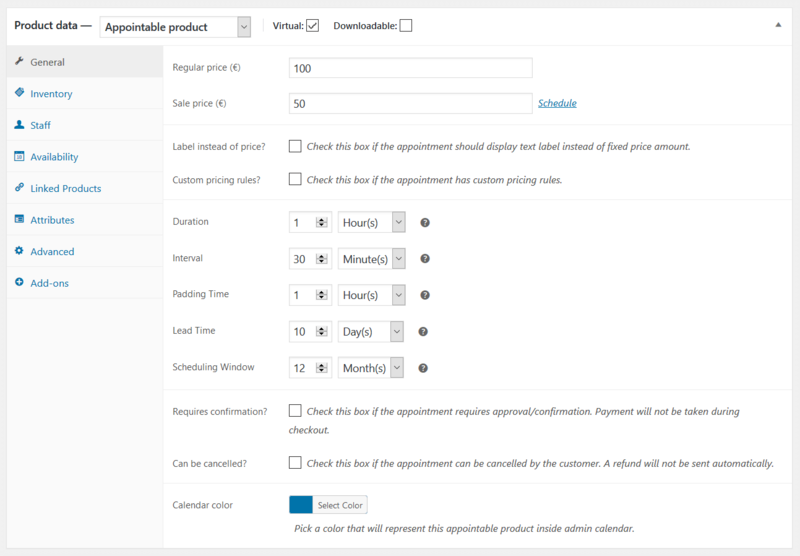 Add-on fields (extra fields like checkboxes, options, inputs, color swatches and uploads) are included with Appointments. 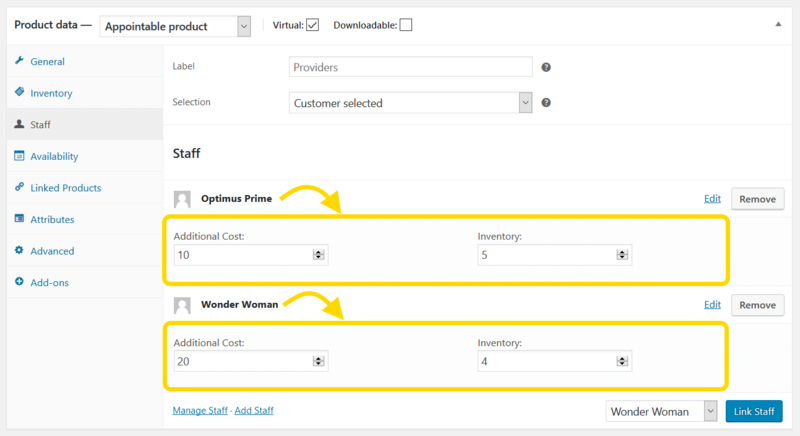 Besides additional cost, you can also determine additional duration for each add-on. Each field can also reduce appointment cost and duration. Synchronization works both ways. 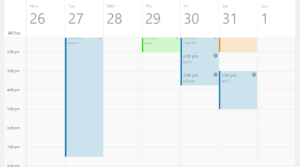 Events from your Google calendar will be automatically synced with your site and vice-versa. No delays. Assign multiple staff to appointments, manage calendars for each employee, allow them to login and set their availability however they like. 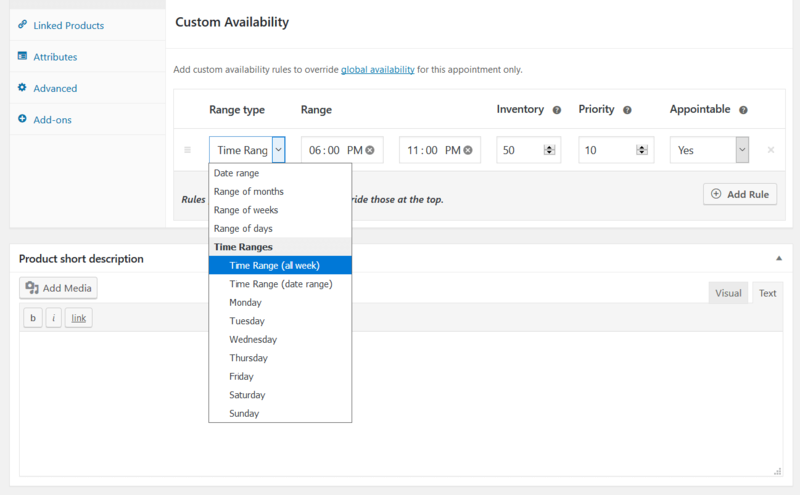 Set custom availability for each calendar date, day or hour and set breaks for holidays. Set priority for each availability rule and override global availability for product and staff. Increase or decrease available places for specific slot. Accept more customers, when you can or decrease available capacity when you are too busy. Set custom pricing rules that for any date, day, hour or combination of both. 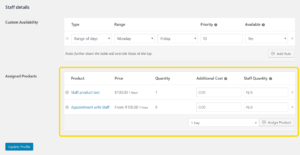 Also set pricing that is different for each staff or quantity booked. Schedule appointments for multiple days. 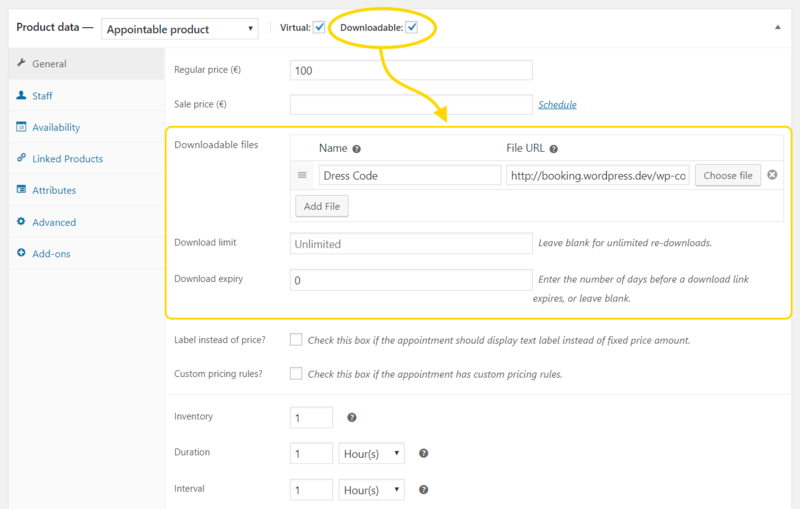 Offer extended duration with add-on fields. You can also extend duration for hours or minutes the same way. You can apply custom shipping and delivery costs, based on location of your customer. Use default WooCommerce shipping zones that automates service delivery cost calculation. Set how much in advance customers can schedule an appointment. 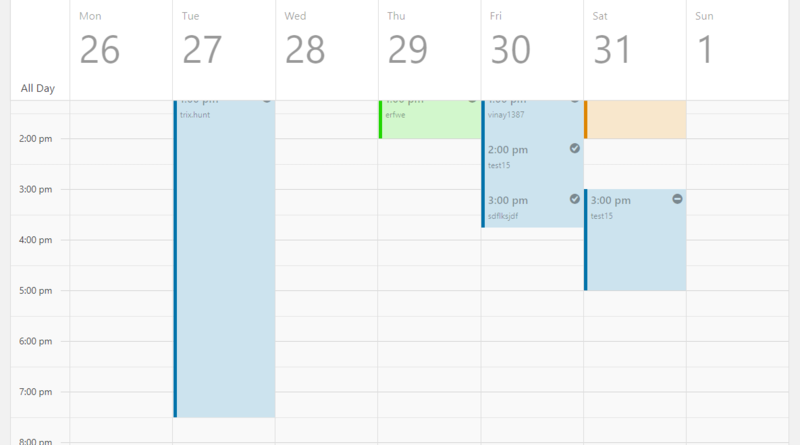 Scheduling Window prevents scheduling too far in advance. Specify how many days, hours or minutes of padding (additional time) you need between appointments. Useful if you need extra time to prepare for next session. 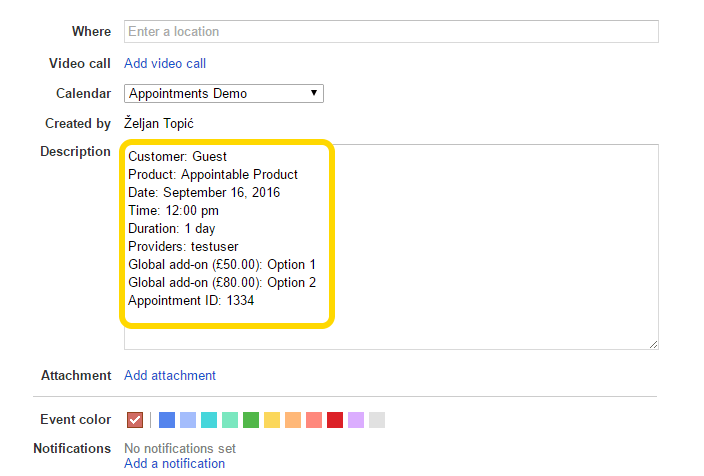 Allow you customers to cancel appointments and optionally require confirmations, before approving appointments. Useful, if you want to take cash on delivery. 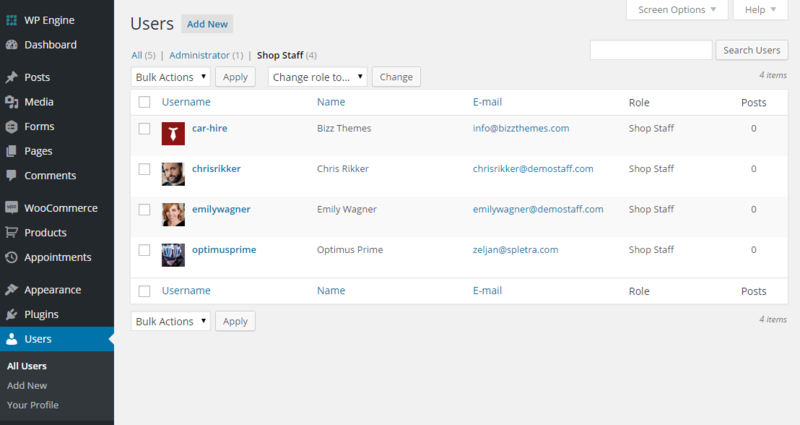 Insert your appointment forms wherever you want (blocks, widgets, pages, posts,..) with a simple WordPress shortcode. 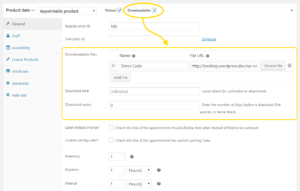 Use WooCommerce Appointments plugin with the best-known multilingual plugins such as Loco, MultilingualPress, WPML, qTranslate or Polylang. Code developed according to WordPress and WooCommerce standards. Clean, commented with hooks for developers to easily make customizations. 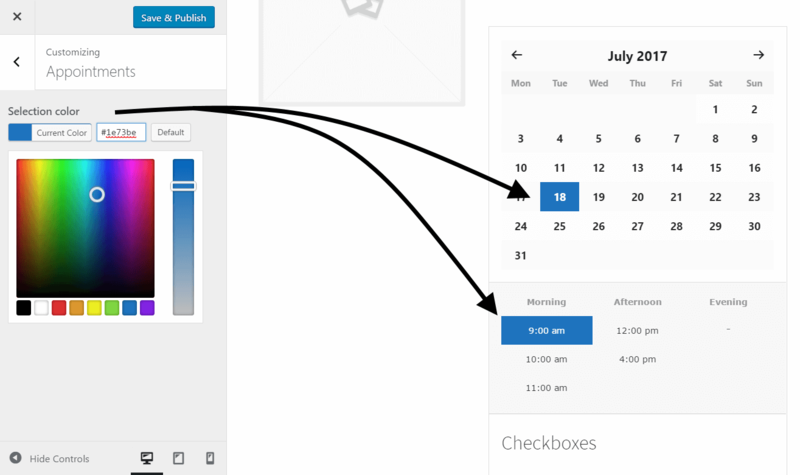 Customize the plugin to your brand by changing primary calendar color inside Customizer. 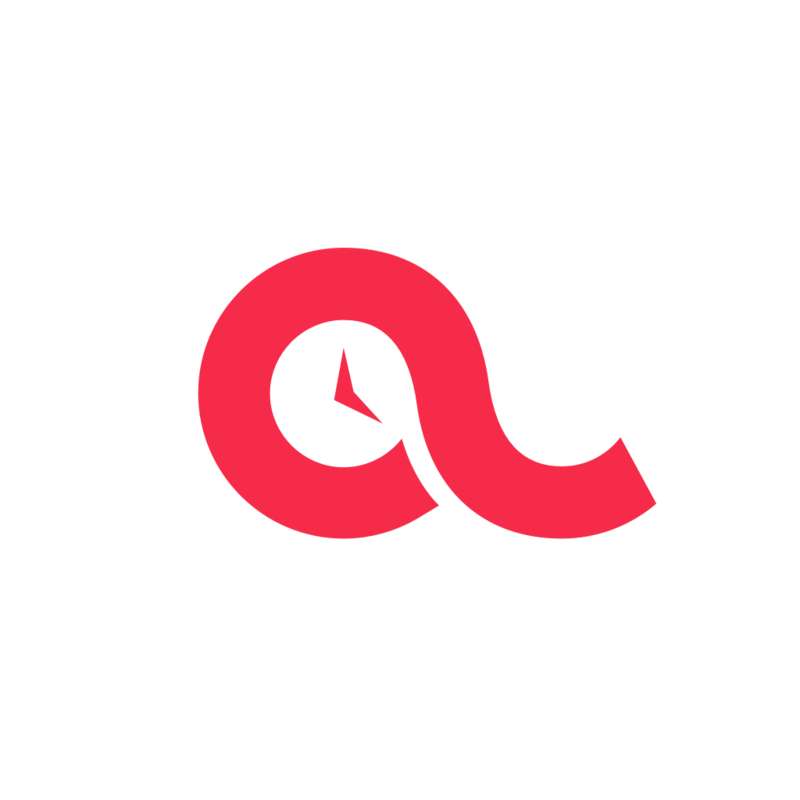 Our brand isn't outlined anywhere in admin or front. 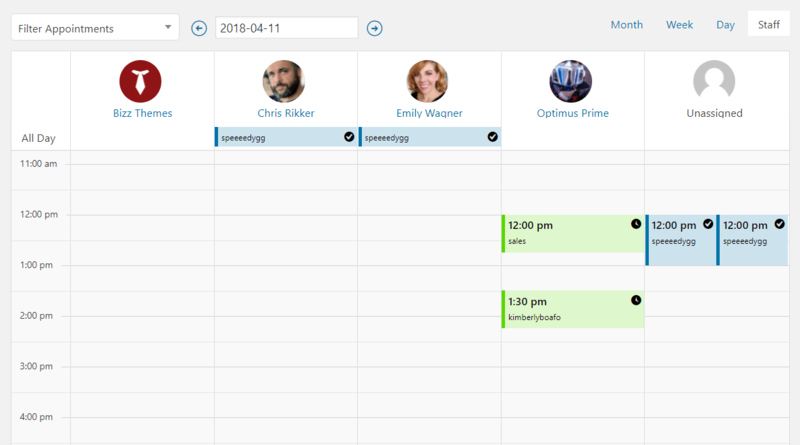 Appointments is professional WordPress Appointment Plugin, built for business that want to focus on their work and trust appointment scheduling to software that will full automate the workflow. It is very simple to install and no training is needed for staff to use it. It is hands down the best WooCommerce booking solution that allows you to accept payments for appointments with little to no effort. Works 24/7 and has more than 3 years of improvements and refinements behind it, so rest assured it will serve your business well into future. 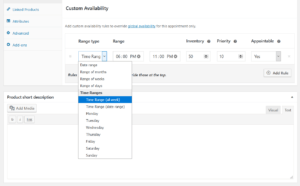 Appointments plugin works with any theme and is constantly tested with major themes like Divi, Avada, Enfold, X, Storefront and Genesis Themes to make sure it works perfectly fine on all of them. Also works on custom-built themes. 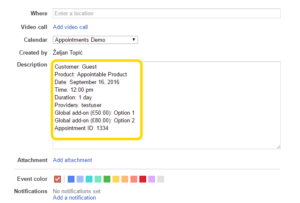 Reduce no-shows and send email reminders to customers prior to appointments. Edit email templates and add additional information to customers to make sure they are well informed before you service them. 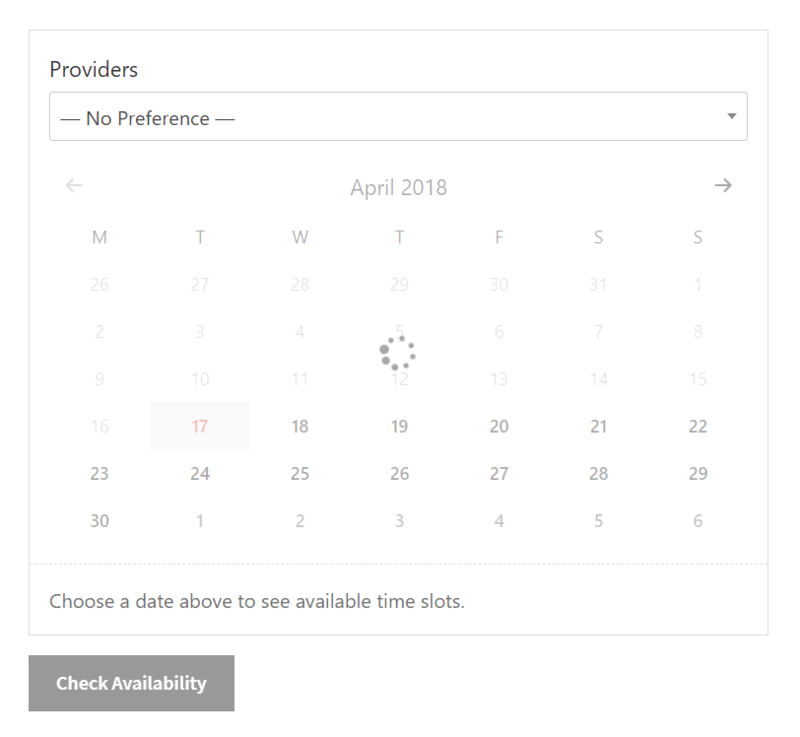 For better overview of your appointments, you can view and edit your appointments inside a flexible calendar. Manage the calendar in weekly or daily view. 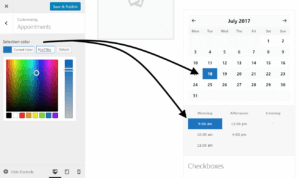 Calendar is synced with staff as well as Google calendar. Not only can you accept payments for your appointments, you can also delay them by requesting appointment approval before confirmation. This way, you will send payment request after appointment is approved. Appointments plugin is built as a WooCommerce extension and gives you all the advantages of having a WordPress booking plugin on your own website. You control the payments, appointments, customers and the whole experience for your customers. All data is yours. 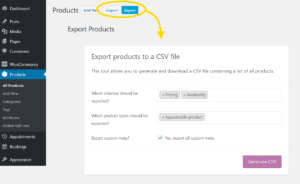 Integrated with popular WooCommerce extensions: WPML, Polylang, Twilio SMS Notifications, Print Invoices / Packing Lists, Point of Sale, Memberships, Email Follow Ups, Gravity Forms Product Add-ons, Deposits, Extra Product Options and Create Customer on Order.